The Dragonfly 500 is a great all rounder ! 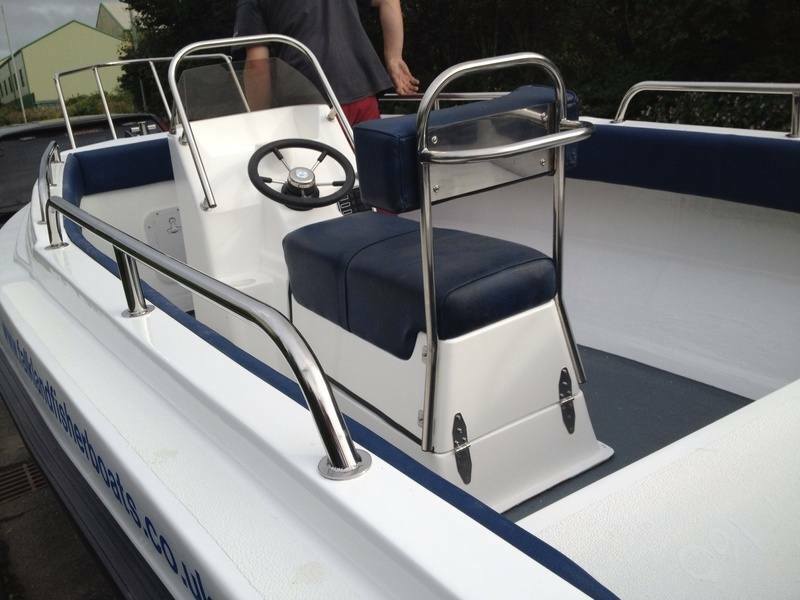 incorporating the new Surfpro Hull, which is to replace the old Falkland Fisher hull, the Handling is exceptional. This Hull is wider at the waterline , giving increased stability and handling ability. or drifting over a sandbar with a couple of serious Bass anglers trolling live sandeel ! 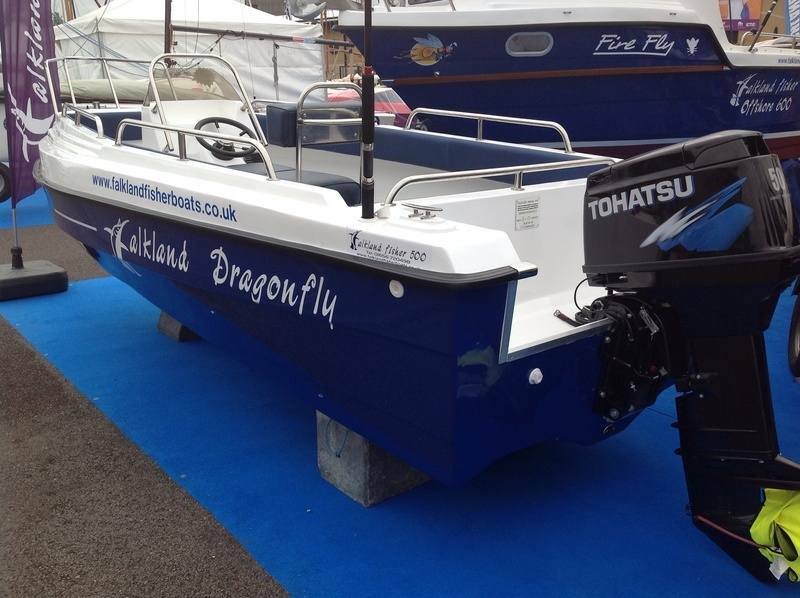 The Dragonfly 500 incorporates all the great handling characteristics of the Falkland Fisher but with the unrestricted space associated with an open boat. 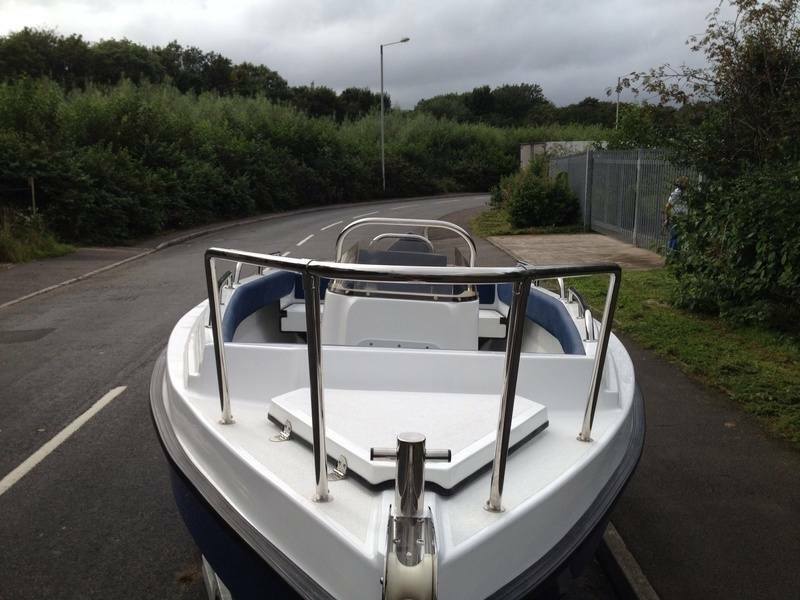 Loads of storage and room make this a great boat for fishing / diving / cruising or skiing . The internals showing the centre console with underseat storage. 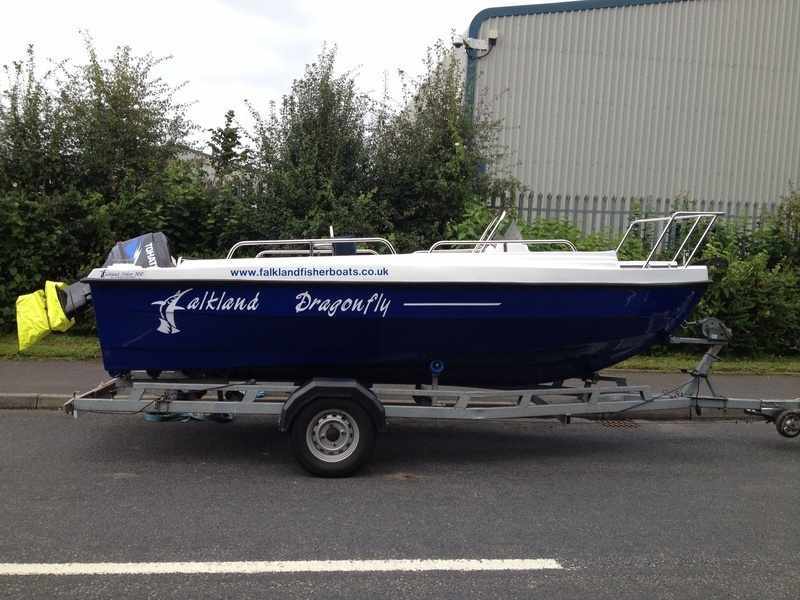 Front view showing the quality stainless steel fittings and the self draining anchor locker - a standard feature on all Falkland Fishers.